When I saw Susie Murphy’s cover for her novel A Class Apart, I had to invite her to talk about my favourite topic – transporting readers in time and place. She graciously agreed. Over to you, Susie. My intention with A Class Apart is to transport readers back to the 19thcentury, to the year 1828, and the location of Ireland, specifically a grand manor estate in Co Carlow. I want them to become immersed in an era when the divide between the upper and lower classes was insurmountable, when the minority Protestant Ascendancy ruled the majority Roman Catholic population, and when the spark of uprising could be so easily lit. Before I talk about my efforts to accomplish that, I should first confess to the gigantic error I made in the very beginning: I initially wrote the novel without any historical research at all…! *winces at the memory* I was only sixteen years old when I started writing it (in 2002, exactly half my life ago), and at that stage I was very much a pantser – caught up in the raw magic of writing, I simply made everything up as I went along. It didn’t even occur to me to check the details. At the time, I was writing for me and no one else. Many years passed as real life got in the way, but by the end of 2010 I knew I wanted to do my level best to become a published author. So I revisited my book, made plans for a whole series, developed my writing across several drafts, and – in 2016 and thus very belatedly – got stuck into the research. The value of doing proper research before writing the story was very much a lesson I learned the hard way. I ended up changing huge parts of my book because there were so many incorrect things in it. I had to fix wrong usage of noble titles (just because a man is rich does not mean he’s a lord), clear up complex points about inheritance (tricky to navigate – certain parts of the law could have ruined the premise of my book entirely), create new characters because I was missing essential people (such as the butler, a rather crucial individual in a 19thcentury manor house), and remove anachronistic terminology (I couldn’t use the phrase ‘her voice cut like barbed wire’, given that barbed wire wasn’t invented until the 1860s). The surgery I performed on my book during this time was well overdue and comprehensive. What emerged from my research was a great deal of clarification. While I had always known the book was set in Ireland, in my early drafts I had been very vague about when the story took place. No need to be too specific, silly teenaged me had thought. Of course, with constantly changing fashions, modes of transportation, politics, and so much more, this wasn’t feasible without making the book completely bare of any defining details – and hence losing the tools to transport readers in the first place. In addition, the vast social divide which existed at the time was well suited to act as an impediment to the budding romantic attachment between my two main characters, Bridget Muldowney and Cormac McGovern. Bridget is an heiress and upper class; Cormac is a stable hand and lower class. She is Anglo-Irish and of the Church of Ireland religion; he is Irish and Roman Catholic. While they grew up as childhood friends, everything about their situation as adults is designed to keep them apart. The growing unrest in the Irish countryside could only add to the complicated nature of their relationship. As for location, almost the entire novel takes place in the environs of Oakleigh Manor, Bridget’s ancestral home. Oakleigh is a fictional place so, to know how it truly feels to walk around such a house, I visited Palmerstown House in Co Kildare. While it is from a slightly later time period, the majesty of the place is the same. It was a pleasure and a privilege to wander its halls and rooms, get a sense of how both the family and servants lived in it, and convey a similar impression in my depiction of Oakleigh. Lower class dwellings also feature in my book, in particular Cormac’s family cottage. Visiting Bunratty Castle & Folk Park in Co Clare gave me a wonderful insight into the various aspects of an Irish village and its humble buildings. However, the best connection I could make to that – and I would not have called it research at the time – was staying at my grandparents’ old Irish cottage when I was a child. Everything about it, from the whitewashed walls to the smell of the turf fire, gave me all the details I needed to recreate it in my book. Though I came at my research the long way round, I’m glad to say I finally got there in the end! In writing A Class Apart, I have endeavoured to transport readers to a time and place of significant upheaval in Ireland’s history and to show it from the perspectives of both sides of the class divide. Thanks, Susie. Anyone familiar with Downton Abbey will recognize those servant bells! It’s 1828, and Ireland is in turmoil as Irish tenants protest against their upper-class English landlords. A very grabbing cover. And interesting story of the long path of the book to publication. Thank you, Harald, I’m so glad you like the cover. 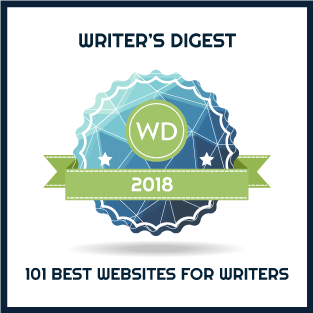 It was designed by Design for Writers and I can’t recommend them highly enough. As for the long path, it was definitely longer than I would have liked but I feel it was worth it to get it right!